Featured amenities include a computer station, a 24-hour front desk, and luggage storage. Planning an event in Negril? This resort has 2002 square feet (186 square meters) of space consisting of a conference center and a meeting room. A roundtrip airport shuttle is provided for a surcharge (available 24 hours), and free self parking is available onsite. Make yourself at home in one of the 59 air-conditioned guestrooms. Rooms have private balconies or patios. Cable television is provided for your entertainment. Bathrooms have shower/tub combinations and hair dryers. 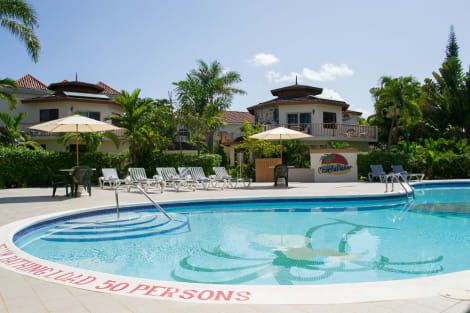 When you stay at Negril Beach Club in Negril, you'll be near the beach, a 1-minute drive from Seven Mile Beach and 6 minutes from Bloody Bay. 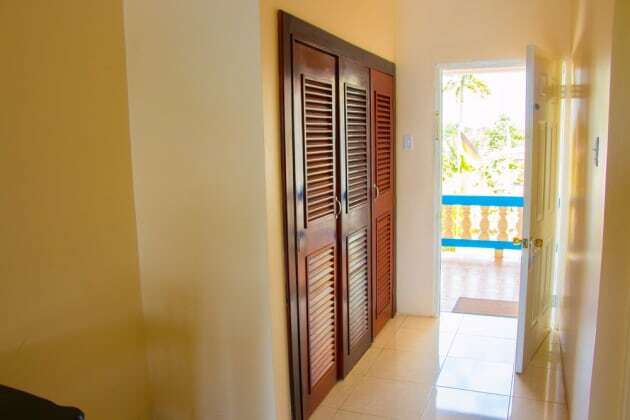 This beach aparthotel is 3.9 mi (6.3 km) from Bloody Bay Beach and 4.3 mi (7 km) from Negril Lighthouse. With a stay at Negril Palms in Negril, you'll be on the beach, steps from Seven Mile Beach and a 4-minute drive from Bloody Bay. 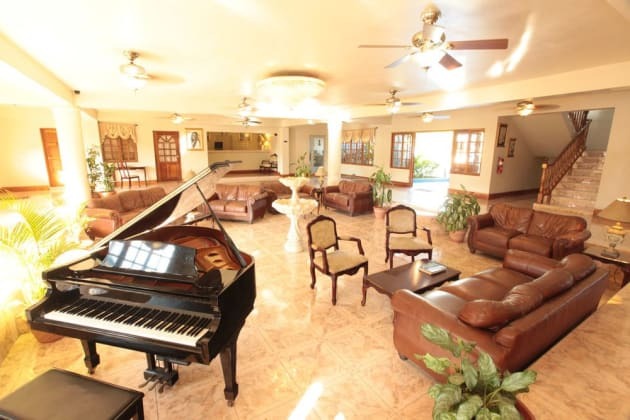 This beach hotel is 2.6 mi (4.1 km) from Bloody Bay Beach and 5.7 mi (9.2 km) from Negril Lighthouse. With a stay at Samsara Resort in Negril (West End), you'll be a 4-minute drive from Seven Mile Beach and 5 minutes from Negril Lighthouse. This spa resort is 6 mi (9.7 km) from Bloody Bay Beach and 6.1 mi (9.8 km) from Bloody Bay.